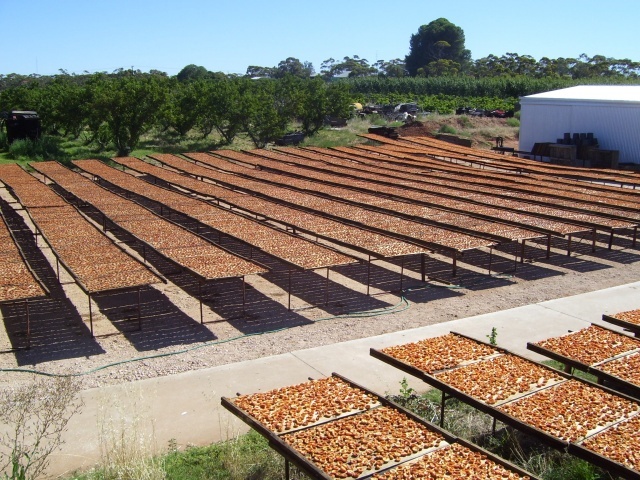 Ancient Greeks and Romans savoured pine nuts preserved in honey, and legionaires took them to Britain under Roman rule. 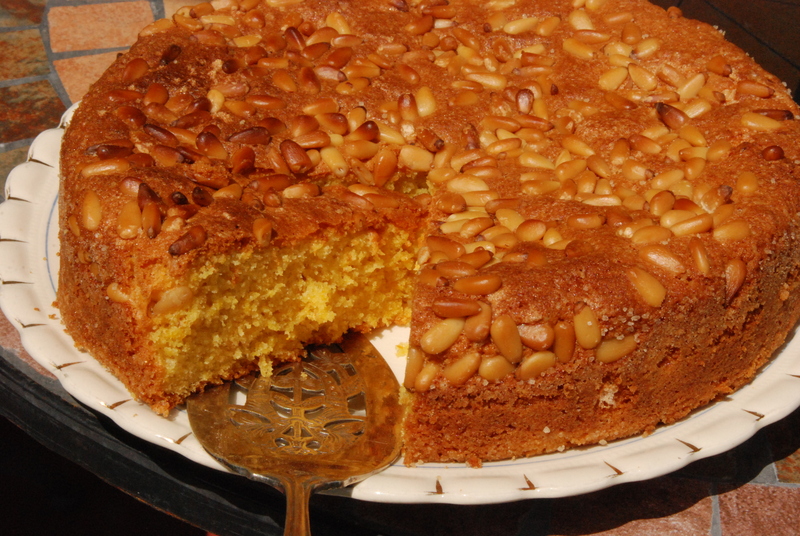 This recipe has several flavours of the Mediteranean – pine nuts, oranges and olive oil. They blend together perfectly to give a subtle taste and wonderful texture. Preheat the oven to 180C. Put the pine nuts on a baking tray and brown in the oven for 7-8 minutes. Oil the base of a 20cm springform cake tin, then line the base with baking paper. Use the additional 1 teaspoon each of sugar and flour to dust the sides of the tin, and shake out any excess. Whisk the egg whites until stiff, then leave to one side. Whisk the yolks and sugar until well combined and pale, then whisk in the oil, followed by the orange zest and juice. Sift the flour and baking powder together and fold into the egg mixture. Fold in the egg whites and transfer the mixture to the prepared tin. Sprinkle the mixture with the toasted pine nuts and bake for 40-45 minutes until well risen and lightly springy to the touch. Cool until you can touch the tin easily, then remove the cake and transfer it to a wire rack. This cake is delicious served fresh from the tin on its own or with slices of orange or other fresh stone fruits. Store it in an airtight container if not eaten straight away. This recipe and 100 others appear in Kew’s Global Kitchen Cookbook. Kew’s Global Kitchen Cookbook is a celebration of the amazing variety of edible plants. It brings together 101 delicious recipes using plants from all corners of the globe, along with stories of their history and discovery, richly illustrated with historic botanical art from the archives of the Royal Botanic Gardens, Kew. 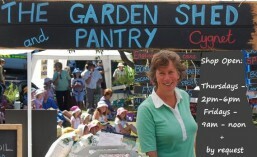 Get this and other fabulous cooking and gardening books from the Cygnet Market or The Garden Shed and Pantry. Occasionally, something comes along that is just so impressive, it’s astounding. My son, the chef, uses this book all the time. We discuss the contents of the book and sometimes he would send me copies of pages on a particular spice. No more! Now I have my own copy (and a few others for those that are quick). 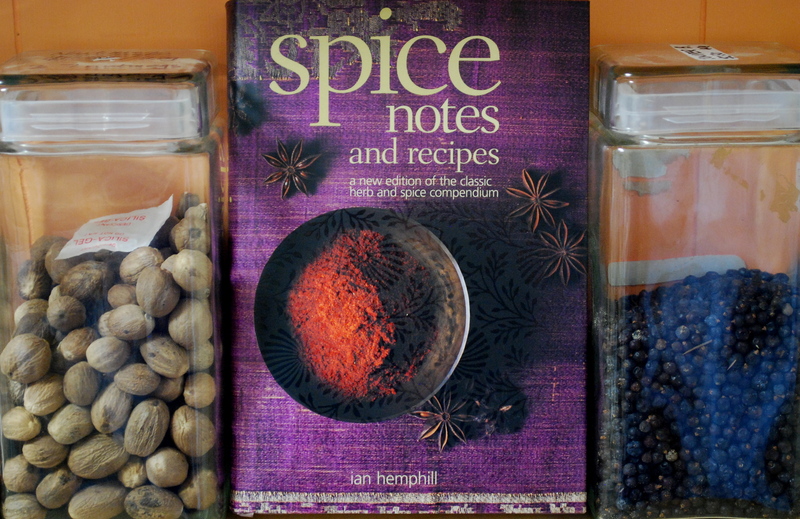 Spice Notes and Recipes is the significant work from one of Australia’s spice experts, Ian (Herbie) Hemphill. This edition of 500 pages includes recipes and detailed information on how various spices are blended to create the ethnic flavours that are spread around Australia. There is a recipe index as well as the spice index. 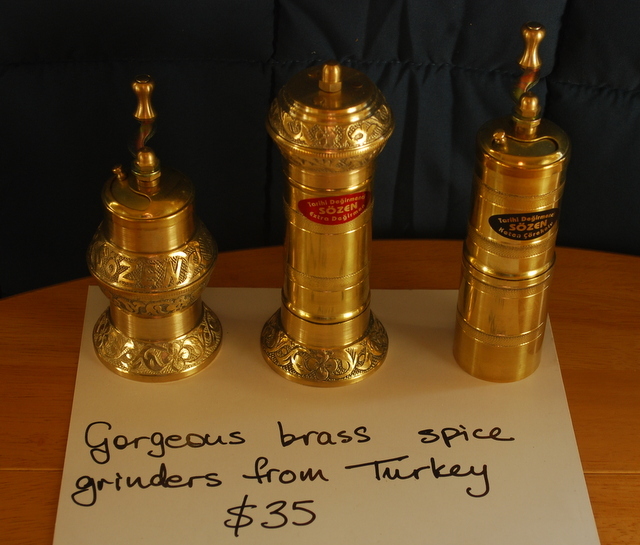 There is information about growing and drying your own spices and herbs plus the buying and storage of spices. Spice Notes and Recipes is not only the definitive guide to culinary herbs and spices, but also a tantalising tour of the cultures that have been formed by the influences of the ancient spice trade. It is a classic for every Australian kitchen. Ordinarily, this book sells for around $60 or even more. Available at the Cygnet Market or The Garden Shed and Pantry for a price so very low I’m sure the copies I have will be gone in a flash! 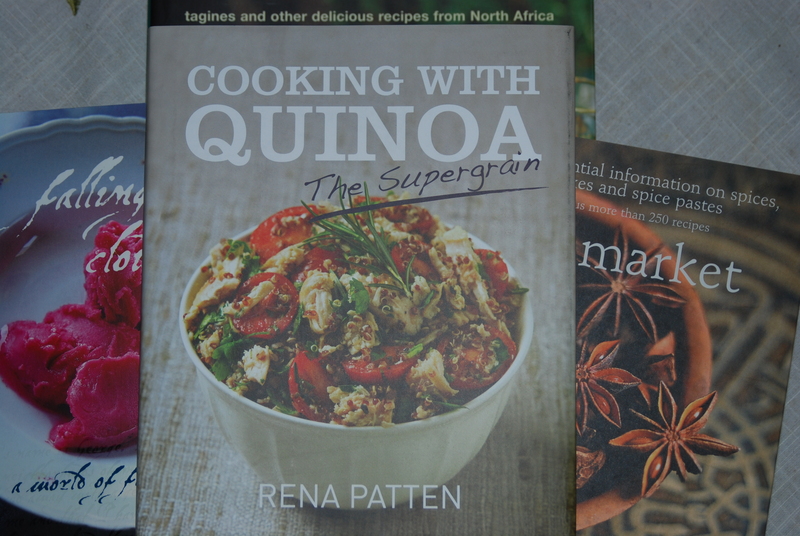 “Cooking with Quinoa” is the book I consult whenever I want to eat Tasmanian Quinoa, or when I want to make something gluten free. Quinoa (pronounced keen-wah) is a grain-like crop grown for its edible seeds. It is considered to be almost a complete food. It is very high in protein, full of vitamins, gluten- and wheat-free, cholesterol-free and the Tasmanian grown quinoa is organic. An ancient plant native to the Andes mountains, quinoa is known to have been a staple food of the Incas. Quinoa contains more protein and iron than any other product. The quality of this protein has been likened by the World Health Organization as being closest to milk. Quinoa is also a very good source of manganese, magnesium, potassium, phosphorous, copper, zinc, vitamins E and B6, riboflavin, niacin and thiamine. It has more calcium than cow’s milk, is an excellent antioxidant and is rich in dietary fibre. Quinoa has the highest content of unsaturated fats and a lower ratio of carbohydrates than any other product plus a low GI level. The health benefits of this wonderful food are particularly significant. Now that Quinoa is grown in Australia (Northern Tasmania), it is not only its delicious flavour and the health benefits that make it worth eating, but also its low food miles. Don’t forget we also sell Quinoa flour. And at a reasonable price too. 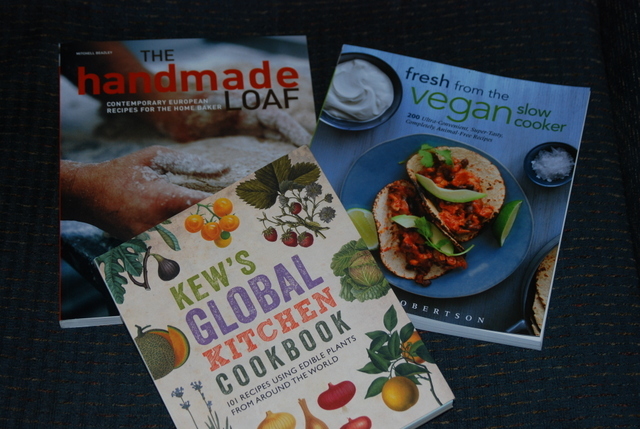 Buy this and other great cooking and gardening books at the Cygnet Market or at the Garden Shed and Pantry, Cygnet. 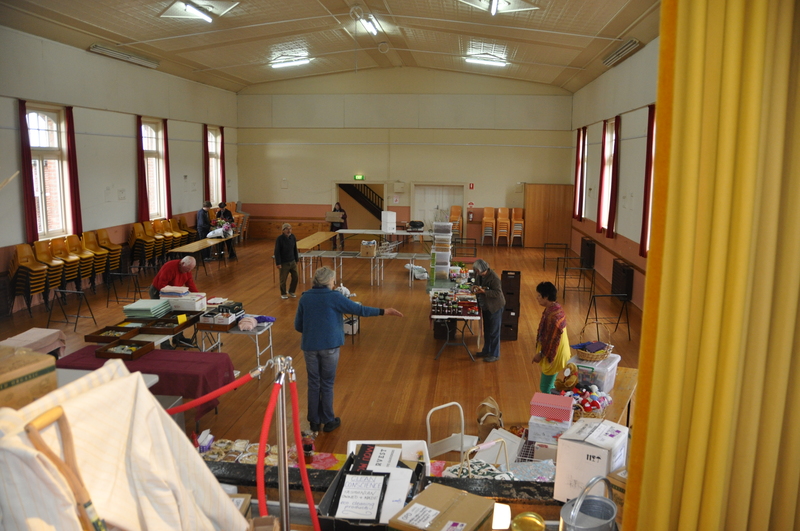 IYQ2013 – International Year of the Quinoa. Read more here.